Game Recording Softwares: Nowadays many people have interested in recording the games which they are playing on the PC Windows. But they do not record the games directly. To record the games, you need a third party application. So, here I have given the Best Free Game Recording Softwares for PC Windows. People who love to record the games, they can check the softwares from the below sections and then download it on your device. These Free Game Recording Softwares are very helpful for the people who love to record the games. With the help of the Gane recording software’s, you can also record the multiplayer games, browser games, FPS. The game recording is one of the entertainment parts of our life. Millions of people are browsing the internet for Game Recording Softwares for PC Windows. So, here I have updated the best apps for recording the game. People need some instructions for understanding the game which they want to play. Due to this big gaming community, everyone will be able to see the video tutorial in almost every game. With the help of the Game Recording Softwares, everyone can make a video tutorial of any game, and these tutorials will be helpful for the people to learn it. But to record the game, you need high video quality. Here in the below data, I have updated the best Game Recording Softwares. 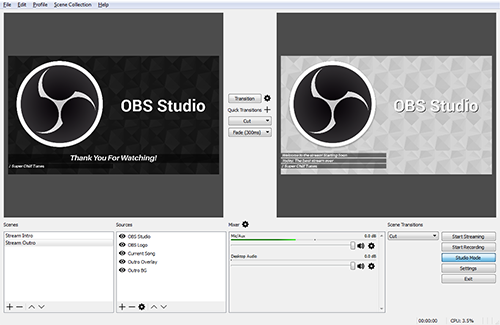 Open Broadcaster (OBC) is the best software application, and it is an open source app comes with the lots of customization options. And the Open Broad Caster has a very simple user interface, and it is completely free to use. In this app, you do not require to change any settings to record the video. You just select the source for recording the video. In this OBC, you will be able to live stream the video on the popular websites such as Twitch, YouTube, HitBox, and much more. And it can record the video in MP4 as well as FLV formats. ShadowPlay is also one of the best software available for PC windows. With the help of the ShadowPlay, you can easily record or stream the gaming moments. Nvidia Geforce has provided this ShadowPlay. This ShadowPlay comes in two different modes such as Shadow Mode and Manual Mode. The Shadow mode allows you to record the game from last 20 minutes and the older will be deleted. If you want to record any great moment, then you have to just click on the single button to save the recording of last 20 minutes. In Manual Mode, you will be able to record the unlimited videos. Action! is a paid software which is available with the tons of amazing features. This Action! Also, uses your GPU for accelerating the recordings and it puts less pressure on the CPU. In this Action! Software, you will be able to record the videos in the high quality with the 4k resolution. You can stream the videos over the popular services like HitBox, Twitch, YouTube, Ustream, etc. By using the built-in buttons, you can also share the recordings on the Facebook or YouTube. It also provides the remote control access to the users to control your PC with the Android smartphone. Bandicam is also the best-Paid software, and it is very simple to use. It offers various tools for the users what the beginners needs. Bandicam is used for recording the game, and you will be able to record the videos at the customized frame rates with the 4K Ultra HD resolutions. It does not support for live streaming, but it provides amazing features to the users. In this Bandicam, you can set the time to record and stop the recording. You can easily share all your recording on YouTube. XSplit Gamecaster is the best game record software offers the excellent streaming features to the users. The XSplit Gamecaster supports for streaming as well as recording to hard drive. With the minimum interface, it makes the streaming and recording very easy. You can easily start recording the video with the single press of the button. XSplit Gamecaster has GPU Support, high video quality, and streaming over the popular sites. In this XSplit Gamecaster, you will be able to record the videos in a built-in video editor.